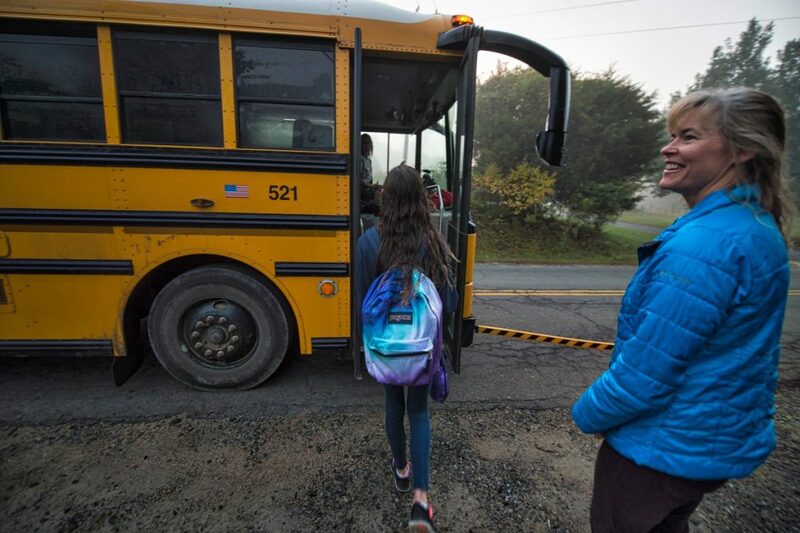 Mental health and transportation are two areas that Loudoun County School Board members stressed are in dire need of more support, and they made them a priority in their adopted budget. The board tonight unanimously agreed on a $1.24 billion spending plan for next fiscal year, shaving roughly $250,000 off of the budget recommended last month by Superintendent Eric Williams. A surprising addition to the budget—that prompted a lengthy debate—was for $87,584 to allow each School Board member to have the option to hire a staff aide. Board of Supervisors have in the past encouraged School Board members to carve out funds for staff aides, but the majority of the School Board has never supported the idea. 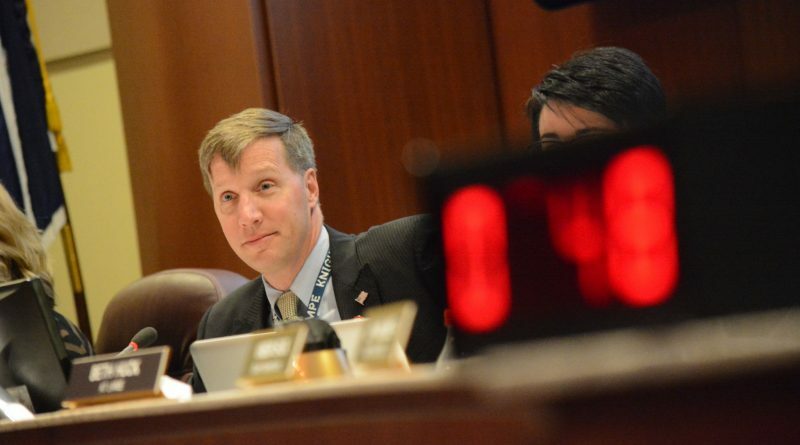 Eric DeKenipp (Catoctin) noted that less than $10,000 per board member for an aide pales in comparison to the Board of Supervisors’ annual budget of $150,000 for staff. The six board members in support said the aides would help with communication with constituents and relieve a burden on senior staff members. Debbie Rose (Algonkian), joined by Eric Hornberger (Ashburn) and Brenda Sheridan (Sterling) in opposition, said that the aide’s hourly pay would be more than what she is paid to serve on the board. School Board members are paid a salary of $20,000. “This is clearly not intended to be a full time job,” she said, adding that managing an aide might actually add more to a board member’s plate. The budget maintains Williams’ proposal to create unified mental health support teams for each high school. It includes the addition of five psychologists, eight social workers, eight school counselors, two supervisors and two student assistance. The need for more mental health services came up when Tom Marshall (Leesburg) suggested decreasing the number of new psychologist positions from five to three. The motion, which he later rescinded, was met with a surge of opposition from his colleagues. Eric Hornberger (Ashburn) acknowledged that during tight budget seasons, he has voted down recommendations from school staff to add psychologists, but the events of the past year has changed things, he said. The school system has seen a rise in teen suicides. Its top psychologists and counselors have held emergency preventative workshops to equip students to cope and to encourage them to speak up when they or their friends feel overwhelmed. “We need to have more boots on the ground on this one,” Rose added. The budget also gives the transportation department more attention than its received in years. It leaves intact the recommendation for pay raises, increased hours, and all but one of the four new administrative positions. The changes are in response to a desperate need to attract and retain school bus drivers. The school system has 114 vacant driver positions, which has meant more stress on the transportation department’s staff and longer bus rides for students. The School Board backed the superintendent’s plan to create a new position, performing arts specialist, at $123,000. About a dozen people showed up to the public hearing on the budget earlier this week to urge board members to approve for the administrative position. They said there is a need for a go-to person for theater programs countywide. Hornberger, and the rest of the board, agreed. “We do have a growing program and it needs more support than we have been able to offer it,” he said. The board also added $127,325 to hire an assistant principal at J. Michael Lunsford Middle School. The vote actually changed staffing policy which initially allowed for a third assistant principal only once a middle school hits 1,600 students. Lunsford Middle School has 1,650 students. Majority of board members agreed to add a $120,600 line item to increase the stipend for co-curricular activities by 2 percent. “These are people who take on extra responsibilities to make schools run smoothly,” Hornberger said, noting that a raise to just keep pace with inflation illustrates the board values them. The budget relies on about $759 million in county government funds, up 9 percent over the current fiscal year. School Board members sounded hopeful that their request could be nearly fully funded. County leaders have said that revenue projections are better than they have been in years. The budget is now sent to the Board of Supervisors as a formal funding request. Supervisors are scheduled to adopt the county government’s budget, of which school funding makes up the majority, on April 4. We should expect our board members to use facts and data to support their public pronouncements. Is it any surprise that board members vote their own personal interests and justify that with false claims that are disproved with their own data? 1. Only 14 LCPS teachers left for Fairfax school district in FY16. Including Arlington and PW, it jumps to an astounding 20 for ALL of LCPS. We learned last year that many times these numbers are transferring into LCPS from these districts. Clearly LCPS compensation is more attractive than living/working for FCPS. 2. LCPS attrition rate was ~1.5% points higher than Fairfax in the first 12-14 years. After that, the rates of both drop off to barely 1% as teachers wait till retirement. Why are we throwing money at teachers when they aren’t leaving? Oh yes, that’s right, because our board members want to pay their spouses more and until I forced a legal opinion from the Alexandria CA, 4 LCSB members including Morse were breaking the law. 3. Virtually nobody who receives a job offer from LCPS turns it down. Over 90% accept and only 12 candidates out of over 700 decided to join FCPS instead. So why exactly do we need to throw $10M+ in additional salary raises at teachers who aren’t objectively evaluated? Once again, our school board shows zero respect for the taxpayers’ money. They spend anything and everything. Are we to believe any rational person would increase per pupil spending 5% every year?! That when other districts are limited budget increases to less than 2.5%, LCPS is asking for more than 9%? This board has been corrupted by greed and power. The BOS must demonstrate respect for the people’s taxes or they will be targeted for replacement in the next election. Why is it your belief that teachers should only get a raise if there is large attrition? Doesn’t the average working professional receive some sort of an annual pay increase regardless of attrition at their workplace? Teachers are going to receive a step increase that averages 2.2% regardless. Last year, many teachers got 4%+ raises. This year, led by 4 out of 9 LCSB members with LCPS spouses who stand to gain, they are proposing 5% raises. We were told these raises were needed to “compete” with Fairfax and other counties. But the data (hiring and attrition) show that we lose many fewer teachers than any of these counties. The lower cost of living, lower rates of FRL/ESL students, and other factors combine to make LCPS compensation more attractive than Fairfax and elsewhere. It’s the taxpayers money. You don’t just give it away to teachers because they want more. We have real shortages (sheriff’s dept and bus drivers). You spend money to fix your needs. We understand why you want our corrupt officials to just take from the taxpayers by force and give it to you, but it’s extremely unbecoming for you to demand such handouts. SGP-you are fighting over the fact that many of us got a $10-$15 a week increase in our take home pay this past year and are looking at the same thing this year. Why is it outrageous of us to ask expect to improve ourselves financially as we continue to devote ourselves to our students. We all would take you more seriously if you ever offered your time and effort to help out the schools instead of constantly complaining that we are wasting your money. First off, it is not necessary for a citizen to “help out” to have a say in taxes. That is like saying unless you come help me for free while I get paid for working, you get no say in the government spending more money. Such an argument would earn an F in school. Second, you have no idea what I do and don’t do. If I were to help out, I certainly wouldn’t tell you on here. Seniors should get input even though they can’t/don’t necessarily help out. If you don’t want the public to have input, stop working in a public sector job. And BTW, why stop at the weekly increase, why not divide it by days or even hours so it is even harder to compare. Bottom line is that the LCSB is asking for $3k+ raises for some positions when our attrition indicates we are already above what the market demands. Accept objective evaluations and different pay for different skills (math vs PE/history) and the public would be more accommodating. Because, SGP – while you are out there shouting that teachers are greedy and getting rich, the truth is something else. You seem to expect that teachers work for the same amount year after year and have no right to a comfortable standard of living. You make is sound like teacher pay is breaking the backs of Loudoun Families. This is simply not true. It is very mean spirited. CareerSwitcher, almost nobody objects to our most effective teachers getting paid well. Teacher of the year John Tuck had demonstrably great results but had to switch to an Asst Principal position because the unions prevent LCPS from switching to a merit based pay system like Dallas, TX has. The public resents having no objective evaluations for teachers and for PE/history teachers receiving the same pay as the more challenging positions (AP Calc/Lit/Chemistry). But you say that teachers are not “greedy”, they must be so generous. Let’s look at that statement more closely. 1. I haven’t heard a single teacher say.. you know what, our compensation is quite high to the point where virtually none of us are transferring to surrounding districts. Why don’t we ask the BOS to give some of our raise pool to the law enforcement positions who not only have a tough job but really can’t fill their positions due to Loudoun folks leaving. We do hear all these teachers threaten to leave and tell us their friends have already left. Turns out the facts are a grand total of 20 left in FY16. 2. I haven’t heard a single teacher say… you know what, many folks in Loudoun haven’t received raises the last few years and 10k’s of contractor positions have been cut. Yet those folks still have to pay their property taxes while I have a 100% guaranteed job in LCPS. And the seniors whose savings earn virtually nothing due to low interest rates still pay those property taxes too. Why don’t I forego a 5%+ raise when I’m earning $100K+ (including pensions) so that Loudoun taxpayers don’t just have to keep giving us all their hard-earned money. 3. I haven’t heard a single teacher say …. you know what, Virginia gives $2500 annually to NBCTs and Loudoun was giving $5K annually. That amounts to $225K over a 30-year period to these teachers. Maybe teachers should seek out NBCT if they feel it helps them without a $225K bribe. And we certainly don’t need PE teachers getting those same NBCT incentives for 30 years. No, instead I keep hearing this NCBT librarian raise Cain because LCPS cut her $5K/yr bonus down to just $2.5K/yr (that’s still $5K/yr when combined with the Virginia bonus). She and her comrades couldn’t care less whether others lost their jobs or the sheriff’s deputies are getting much less than surrounding areas. So yes, many teachers could be classified as greedy. In the end, they don’t care that LCPS was defrauding the US DoE on NCLB waivers. They couldn’t care less if disadvantaged students are sitting in the classrooms of ineffective teachers. They didn’t care that the LCSB board members were violating the conflict of interest laws of Virginia as long as the LCSB members were giving them more money. They don’t care that LCPS PIO Byard committed perjury. Most have zero morals or ethics when it comes to LCPS playing by the rules. The one and ONLY thing so many of you care about is whether you get more money. Of course Brian Davison focuses on attrition figures alone when dismissing an increase in educator salaries. He doesn’t care one bit about the constant hit to the morale of the educators we have because he believes, as he has stated on numerous occasions, that they are already overpaid. And of course he complains about the percentage increase in the school budget from FY17 to FY18 – has he has for the past several yearly increases – and compares those apples with the oranges of neighboring school districts – because he conveniently overlooks the factors that differentiate LCPS from FCPS and PWCS behind those increases. You know, things like LCPS being the fastest-growing school system in the state year after year and one of the fastest-growing in the country. Yet he says school spending should increase only as much as enrollment does despite the proportion of at-risk students – which are more expensive to educate than the “average” per-pupil cost – growing at a rate rate that is still increasing from year to year. Selective facts can support some astonishing conclusions, things that you probably wouldn’t conclude if you spoke with the educators in the classrooms rather than disaffected critics in their armchairs. And of course he dismisses any LCSB member who has personal connections with the school system because it’s silly to presume that someone who has invested their lives in the schools might be interested enough in them to accept the enormous time commitment that entails (not to mention the nasty tirades and personal attacks he directed at them until recently at nearly every one of their public hearings over the past several years). And it’s silly to presume that a principled adult could possibly set aside their personal interests for the greater good. That’s silly, of course, only for people who are unaccustomed to thinking that way themselves. And of course Brian Davison holds up the $12M (or whatever it is) budget “surplus” from FY17 as “proof” that our schools are over-funded or mismanaged because “they can’t even spend what they get”. That last one is a real knee-slapper, because he’s bloviating about 1% of the budget. Given that 85% or so of that budget is personnel costs and that a budget prepared the year before can only go so far in estimating the actual variability in vacancies due to resignations, transfers, and retirements and use of consumables, and that under-estimating those costs would be irresponsible, his focus on this ordinary fiscal behavior is laughable. But Brian Davison isn’t trying to be funny, nor is he stupid: far from it. He’s just working, as he has been, to do whatever harm he can to a school system with which he’s been disgruntled for years. Those of us who work to support our local public schools rather than do things like repeatedly drag them into court know this about him. He’s counting on persuading those who are unfamiliar with the details underlying these issues not only to join his destructive campaign but to laud him as some kind of “superman” wearing the (now anachronistic) “VirginiaSGP” cape and mask. Rdj’s housemate is a 30-yr LCPS veteran whose retired at the ripe ol’ age of 52 with a $50K/yr pension. Palanzi is also the LEA president who supposedly “taught” business in LCPS even though he never had run a business. Palanzi never was objectively evaluated but he and Rdj think teachers now need extraordinary raises. A little conflict here? We all learned that Rdj couldn’t read financial statements so once again he is confused. FY17 is still underway and we can’t trust a single number to come out of LCPS. We can trust auditors who just finished their review of LCPS’ FY16 budget. From FY14 to FY16, the amount of unspent funds at the end of the year increased from $14M to $24M to $34M. That means LCPS was knowingly overestimating how much funding it needed. I stated as much when I showed they would ask for $16.8M for step increases that only cost about $10-11M. LCPS then spends this money on end-of-year goodies that don’t undergo the same scrutiny. Rdj can’t even get the FY14 number correct (he says $12M), why would we let him or any LCPS admin calculate what the funding should be?! It’s basic supply and demand (something Palanzi should have been teaching in his class). Loudoun can’t fill its bus driver slots nor its law enforcement slots. Those positions need to have raises. Not only are we inundated with candidates for teaching positions, but a grand total of 20 teachers left LCPS for neighboring districts to the east. Yet, we’ve been told by our Supt and all the LCSB members with LCPS spouses who want giant raises that if we don’t jack up LCPS teacher salaries, our teachers will keep leaving in droves. They were lying folks, plain and simple. The only question is whether we will allow them to continue lying. Whether we will keep directing money to positions that the market tells us are overcompensated based on supply/demand or whether we put that funding in law enforcement and transportation needs. And whether we allow the BOS to maintain a much higher tax rate ($1.14) than we ever needed solely because many new business taxes have made the county flush with cash. It’s our money people, they don’t have a right to just give it away to teacher union cronies. Brian Davison is incorrect: Mr. Palanzi is neither a 30-year (Step 30) teacher nor has he retired. I decline for obvious reasons to respond to anything else he’s written here. Thank you for identifying who this guy is. You are off base again, SGP. The schools only spend the money allotted to it by the BOS. If you want to decrease the school budget, complain the the supervisors. The SB has 100% authority to spend 100% of the school money. How can you claim that the sB shows zero respect for taxpayer money when all they do is decide how that money is spent, not how much. You can complain about how that money is used by to complain about the total to the folks you give money to is a bit nutz. CareerSwitcher, the LCSB supposedly requests funding for its “needs”. Morse said last night that giving teachers, who leave at much lower rates than surrounding districts and almost never actually transfer to those eastern districts, extraordinary raises is a “need” not a “want”. Isn’t it nice that his own spouse is in line for such a raise? I assume you are suggesting the BOS should completely ignore the amount of funds requested by the LCSB then. They should just slash their funding right? If the LCSB is only responsible for spending what’s given, let’s have the BOS audit their books and give them what they truly needs – maybe a 3-4% increase from last year. So, SGP comes out finally and says what he has been thinking for so long. Teachers are greedy. This is a huge break through because we now have on record the kind of person SGP truly is. No need for me to comment further except to ask the parents of Loudoun to either agree with him or to finally understand what he has been pushing for so long. If you do agree that teachers are greedy, I suggest you talk to your children’s teachers in person to understand what they are facing, economically, professionally, and in the classroom. If you do not agree that teachers are greedy as SGP does, then let’s move on past his rantings – his posting do not matter. Attend one of the budget meetings. You will hear a librarian claim it is a travesty that LCSB reduced the annual stipend (combined with Virginia, they still get $5000/yr) for NBCT teachers. That is after masters degree teachers get anywhere from $65-125k for working 194 days per year already. What a travesty indeed. Ha! Contrast that with sheriff deputies who must work a full year and face real danger in their jobs. There is a large shortage because the compensation is not enough for the market. You won’t hear any sheriff deputies whining at the budget hearings. And, of course, I said some teachers not all as Callme fails to notice. So yes, Callme, many teachers don’t hold a candle to the honorable deputies. Don’t back down now, SGP. Double down! Your attacks on teachers are a wonderful demonstration of who you truly are.